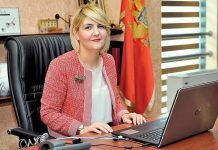 Economic growth in Montenegro, driven by investment expenditure, strongly marked 2017 and 2018, amounting to over four per cent annually. 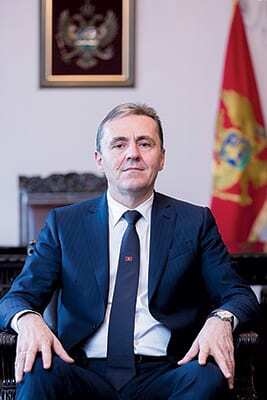 At the same time, fiscal consolidation had a moderate impact on reducing aggregate demand, as well as a positive impact on the control and reduction of fiscal vulnerabilities, assesses Radoje Žugić, Governor of the Central Bank of Montenegro (CBCG). The expectations of the CBCG for 2019 are that the trend of increasing in economic activity will continue and that growth will total around three per cent. What kinds of results are being recorded by the banking sector and, in your estimation, how will this business year end compared to 2017? – The banking sector is characterised by stability, profitability, liquidity and solvency. All key balance sheet positions are growing. Thus, at the end of the third quarter, compared to the end of last year, total assets had increased by 5.52%, total loans by 10.70%, total deposits by 5.88% and total capital by 0.83%. Active interest rates have also reduced year-on-year. The average measured active effective interest rate amounts to 6.4% and is 0.58 percentage points lower compared to the same period of 2017. It is particularly significant that the average measured effective interest rate for registered companies has also fallen. It amounted to 4.92% at the end of September 2018, which is 0.74 percentage points lower than the same period of 2017. We expect this trend to continue and the banking sector to thus provide a contribution to treating the weaknesses of real economy, i.e. to contribute to strengthening its competitiveness and liquidity. Have your expectations been fulfilled regarding the increased lending activity of banks during this year? What do the latest statistics on the dynamics of lending to the economy and citizens tell you? – In the first nine months of 2018, the lending activity of banks totalled 858.2 million euros, which represents growth of 10.07% compared to the same period of last year. At the end of September 2018, total corporate loans amounted to 1.7 billion euros, which accounts for 58.4% of all loans, while retail loans totalled 1.2 billion euros, or 41.6% of banks’ loan portfolios. Compared to the same period of 2017, retail loans were up by 12.15%, while corporate loans increased by 9.76%. Loans to the economy amounted to a billion euros and registered growth of 13.73% compared to the same period of 2017. The noted tendencies, along with growth in the offers and good liquidity of banks, lead to the conclusion that we can expect a growth trend for banks’ loan activity in the period ahead. In your opinion, what is the optimal level of risky loans and when do you expect it to be reached? – There is a continuous reduction in both total non-performing loans (NPLs) and their participation in total loans. The highest level of NPLs was recorded in August 2011, when it stood at 25.9%, while at the end of Q3 2018 it stood at 6.71%. That statistic testifies to the significant progress achieved in the policies and practises of managing banks’ non-performing assets. The Central Bank of Montenegro, through its regulatory and supervisory activities, pays particular attention to credit risk. The existence of prudential filters, i.e. regulatory reserves, the obligaton of banks to adopt and apply operational strategies for resolving problems regardings non-performing loans, the possibility of consensual litigated restructuring of loans that are problematic in terms of collection, the constant supervision of the quality of banks’ loan portfolios and the improving of the CBCG’s Credit Registry, in terms of higher transparency and data coverage, all contribute significantly to improving the quality of banks’ credit portfolios and the result is that poor quality loans are currently at their lowest level since the start of the global financial crisis. When it comes to the optimal level of NPLs, it is difficult to answer this question without placing it in the broader economic context. In this respect, the NPL level of 3.2% at year’s end 2007, when the entire economy – including the financial system – was undergoing expansion, can be considered desirable from today’s perspective. To what extent can supervisory measures compensate for the lack of instruments available to other banks that have their own national currencies? – High-quality supervision is much more important for maintaining the stability of the banking system than the availability of monetary policy instruments. One World Bank study found that inadequate supervision existed in over 90% of banking crises. In the case that supervision acts preventatively, it is unlikely that a situation will arise to use other instruments. Not one bank in Montenegro went bankrupt during the global financial crisis, which can’t be said for a great many countries that had a wide range of monetary policy instruments at their disposal. It is commonly said that the Montenegrin banking market is oversaturated. You recently said that there are numerous requests to enter the domestic market. Is there any indication that the number of banks currently operating on the market will change soon? – The answer to the question of whether the banking market is oversaturated will only be provided by the market itself, but also banks’ performance indicators. The increase in the number of banks in the previous period, coupled with announcements of the entry of some new players, shows that Montenegro is recognised as a destination that’s attractive for investment. There interest in entering the domestic market, partly through plans to establish new banks, but also through plans to acquire shares in the capital of banks already operating in Montenegro. What is your stance regarding the strengthening of other forms of financing, such as venture funds and other riskier forms of financing? 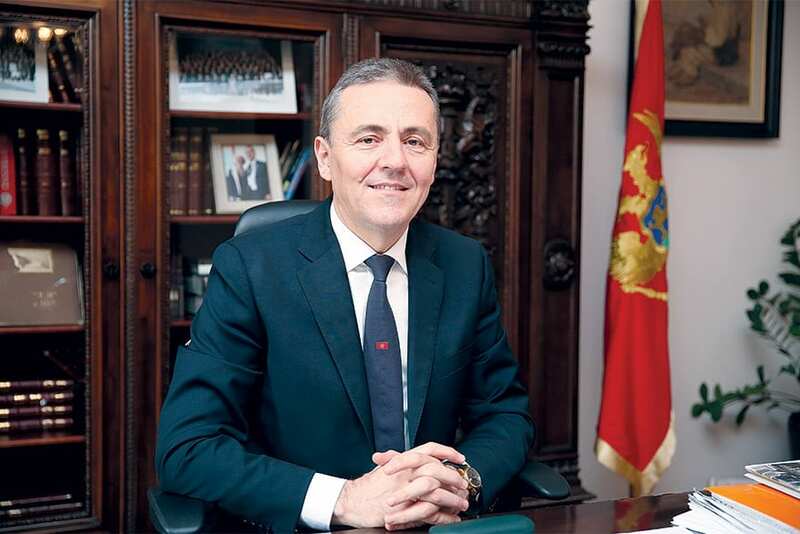 – The Montenegrin financial sector is “bank-centric” and dominated by financing via banks. Every form of developing market competition and alternative financing opportunities can have a positive impact on the efficiency of mediation and financing growth provided the application of sound economic practise exists in risk assessment. Higher risk need not necessarily mean that it will materialise negatively. In healthy project financing, particularly when it comes to experienced investors, the ratio of yield to risk can be adequately balanced and represent a potential source of growth and new employment, and thus also have a multiplier effect on growth creation for other, smaller market players. How much has the banking sector advanced in the digitisation of services? Are the regulations governing this area sufficiently liberalised to enable the development of new financial e-services? – In recent years, the payment industry has undergone significant transformations thanks to the accelerated development of digitisation. The digital transformation process and the opportunities it offers have resulted in the emergence of new payment service providers and new channels for providing payment services, as well as new ways of paying, which ultimately has multiple benefits for the users of payment service, but also for society as a whole. The CBCG’s implementation of EU regulations in the field of payment services has provided all the prerequisites for new services, which led to the fact that commercial banks in Montenegro are keeping pace with trends in the field of providing payment services. Electronic, card-based and mobile payments in our country record a trend of continuous growth, and banks are increasingly available to users. Following the implementation of a series of new EU regulations in the area of payment operations, which the CBCG is currently working on, it will be possible to provide even more modern, efficient and cheaper payment services, as well as better protection for users of payment services. You rationalised costs in the work of the Central Bank significantly in the previous period. What kind of business result do you expect in 2018? 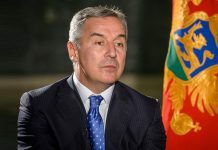 – The financial operations of the Central Bank of Montenegro over the last two years has been characterised by a high level of rationalised costs, and thus realised expenditures in the previous and current year are lower than the planned amount. Thanks to internal economy measures, the CBCG demonstrated high growth in net results and an increase in total balance sheet assets and total capital at year’s end 2017. By implementing the provisions of the Law on the Central Bank, 50 per cent of the gains realised for distribution were allocated to the state budget, thus providing a contribution to the process of consolidating public finances. The remaining 50% of gains were directed towards strengthening the core capital of the CBCG, as one of the prerequisites for strengthening the financial independence of central banks and meeting the criteria of the European Commission regarding the overall independence of central banks in the European System of Central Banks (ESCB). Particularly good results were achieved in the field of managing international reserves, where – despite decidedly unfavourable and negative interest rates – higher gains than in previous years have been achieved. In this segment of operations, high savings were achieved through the undertaking activities aimed at compensating for part of the costs based on the negative interest rate that the CBCG pays when placing funds on international money markets and capital markets. Significant rationalisation was also achieved in positions of administrative and operational costs, as well as in information system costs. The business result expected by year’s end 2018 confirms a continuation of the trend of successful operations and the realising of net gains exceed those planned and those realised in the previous year. Such a result is achieved thanks to growth in total revenues, without changing the pricing policy, and reduced execution of expenditures whilst ensuring the continuous implementation of all planned activities. The Central Bank rewards young experts in Montenegro. How satisfied are you with the responses of young people? – The CBCG established in 2007 an award that is presented to the best dissertations, masters’ or Ph.D. works in the fields of banking and monetary policy and theory, with the intention of this institution being an active participant in the process of raising awareness about the importance of developing and fostering scientific and professional thought. In the last ten years, a total of 27 awards have been presented, six in the category of the best doctoral thesis, 10 in the category of the best masters’ work and 11 for the best graduate thesis/ dissertation. Through this award, we create a kind of synergy and an exchange of opinions in areas that ar that are important to the financial sector.